We’re Plumbing San Mateo & The Bay Area One Faucet at a Time! Get your bathroom or kitchen faucets & fixtures repairs and installations done right with the help of our Express Plumbing Crew. Call (650) 343-9477 for a certified reliable plumber in the San Mateo area to assist you with a wide range of choices and excellent plumbing services. Serving the entire Bay Area since 1989. Over time, a faucet can begin to drip or even leak. Some may go unnoticed for a while, but you’ll notice a big difference in your water bill. If you don’t repair a leaky faucet, the problem does get worse and doesn’t fix itself. A continuous leak can damage the fixtures requiring a replacement, so it’s important to take care of a leak early and not let it continue for a long period of time. Our experienced plumbers always suggest the conservative method of correcting your plumbing problem. If you like the faucet and fixtures you have and the plumbing problem can be fixed, it’s the least expensive way to and you will make that decision. 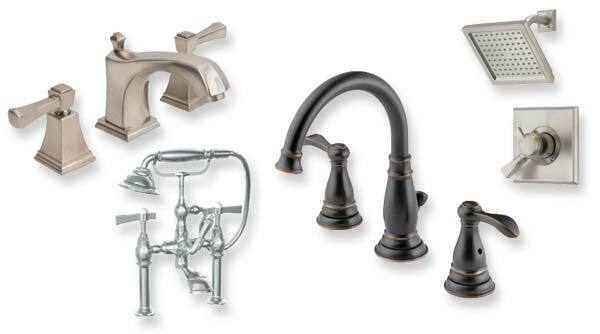 Why Replace Your Faucets & Fixtures? New faucet and fixture installation services are always requested by our clients if they are building a new home or remodeling their kitchens and bathrooms. They may have faucets and fixtures that work perfect, but they’re interested in a whole new look. How to Protect Your Faucets & Fixtures? Prevention is the key to avoiding plumbing problems; ask us about our regular maintenance plan, and plumbing inspection services. One of the most common causes for fixture damage are leaks, hard water tends to also play a big part in causing faucets not to function properly. You may want to consider water softeners and filtration systems if your home has hard water which tends to affect the sinks and bathtubs also. We take pride in providing the highest quality service to all our clients. We are the plumbing company other companies rely on when they don’t have the experience or equipment to handle the project customers request. Our certified plumbers are experienced in all aspects of plumbing repairs, whether you need a faucet replaced, or a new toilet installation; rely on Express Plumbing for all your emergency and non-emergency plumbing services in the home or business.